One of the things I’ve found myself doing a lot in the last year is dreaming about our next forever house. What kind of details do I want. What type of architecture. I’m always a sucker for an older home with charm and nonexistent right angles, but more and more, I’m excited about the amenities and details of newer construction. Clean lines. Things like skylights and plate glass windows. I add images to my Pinterest boards. I tear out pages from magazines. Occasionally, I’ll actually build a vision board to see these elements all together in a single image. Sometimes this exercise is frustrating because, let’s be honest, we’re a ways away from moving into our next home. But for lots of reasons, I actually think it’s a really important creative exercise to brainstorm these things. It helps us explore different styles. 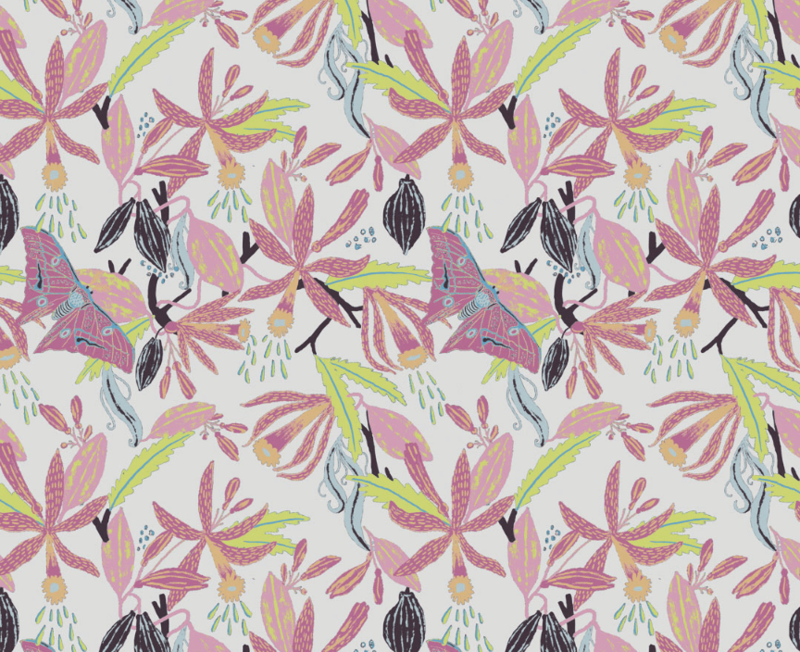 Experiment with colors and patterns. Lets us try on different looks. 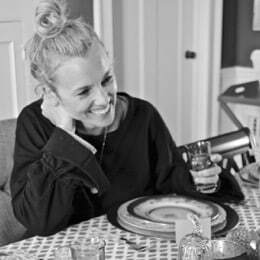 Something about a more contemporary home is easier for me to envision these days… just SO different from the beloved home we just left behind. Every time I visit my sister’s house, I fall in love with the skylights that she has in some of the bedrooms, for example. 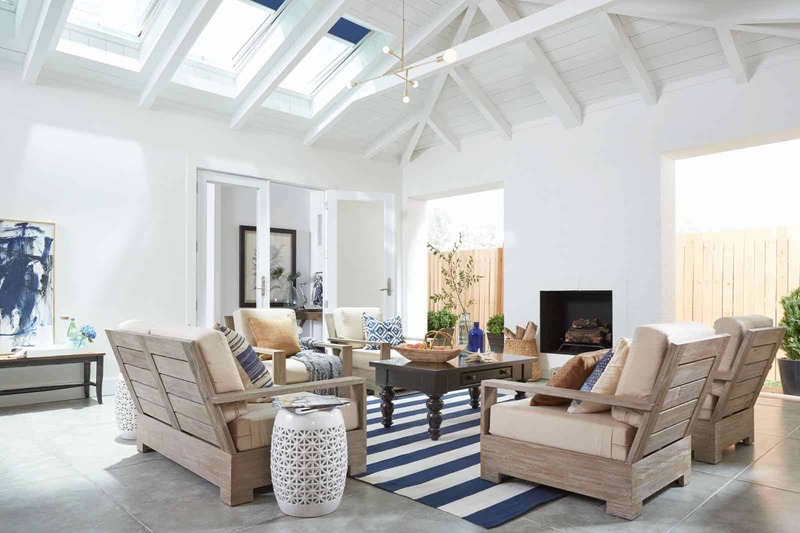 They make the space bright and cheerful and something about looking up and seeing blue sky… I mean #goals right there. 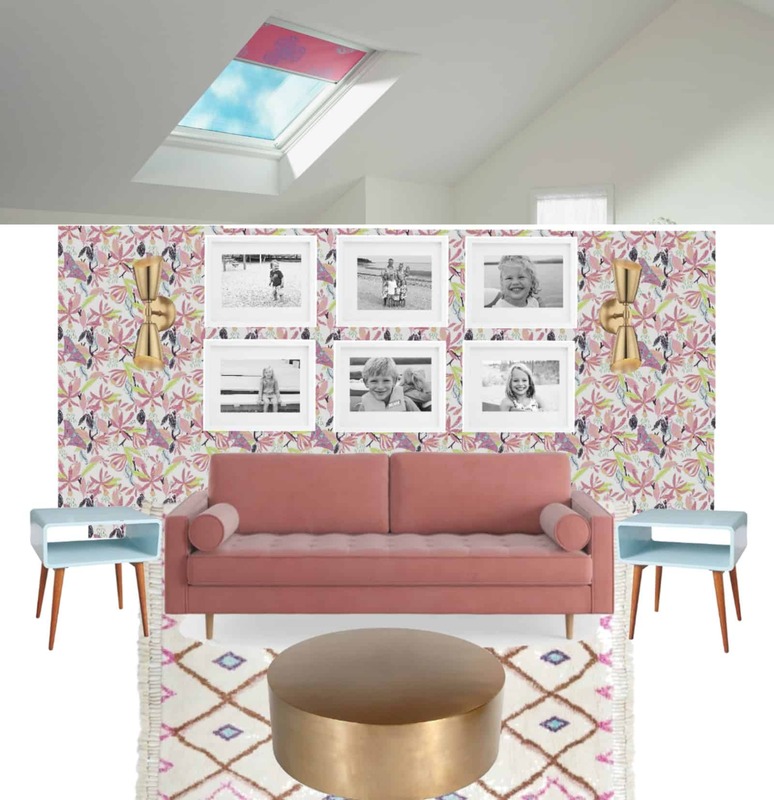 Our last two homes were in the historic district of our town so skylights weren’t even on the table, but now that we have a clean slate… skylights keep creeping into my design plans and vision boards. 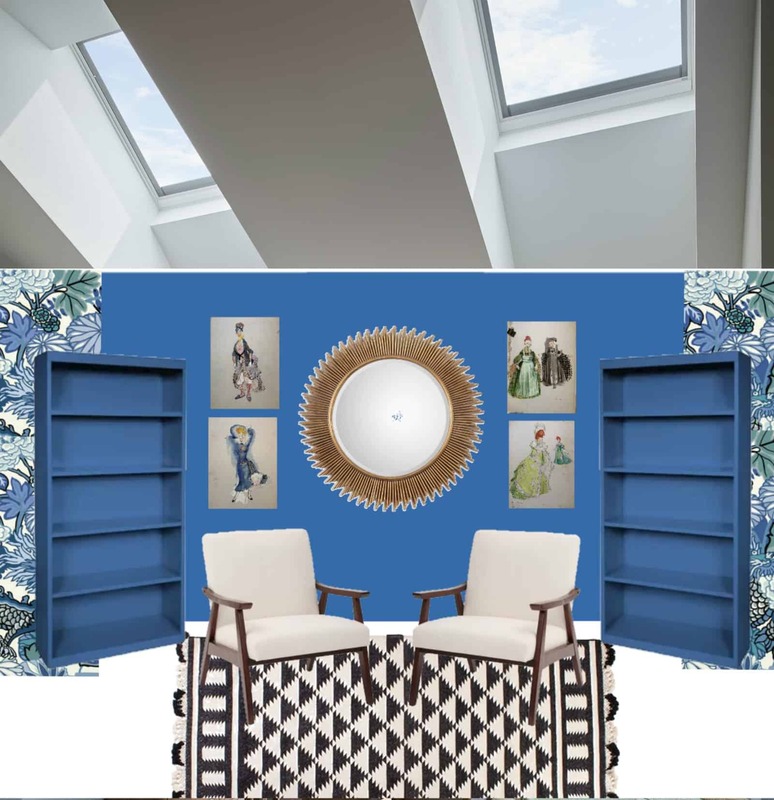 In my dream skylight room, I’d have lots of bold bright colors because… duh. 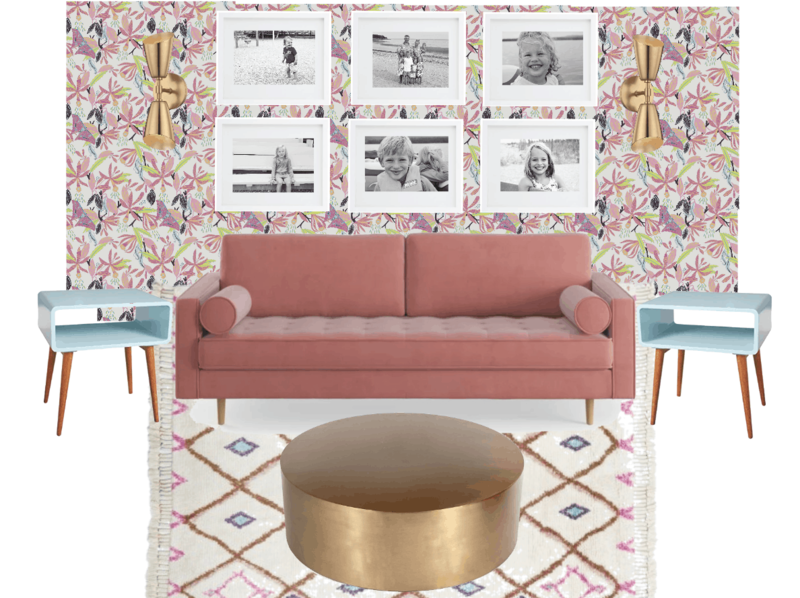 But I also love the idea of tipping my hat to the sky above in the decor… I’m obsessed with this moth wallpaper from my friends at Milton & King and love how it allows me to bring in some blue and, of course, my favorite blush pink. With such a bright bold pattern on the walls, the contrast of those sweet black and white prints makes me happy. Turns out VELUX No Leak Solar Powered Fresh Air Skylights have solar powered blinds that come in 80 different colors (hello, PINK!!) so… yeah. 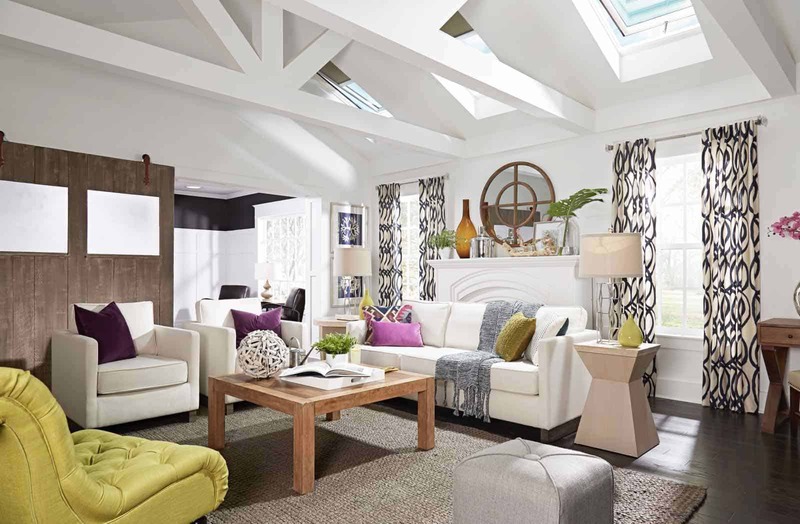 The skylight sunroom would be amazing, amiright? 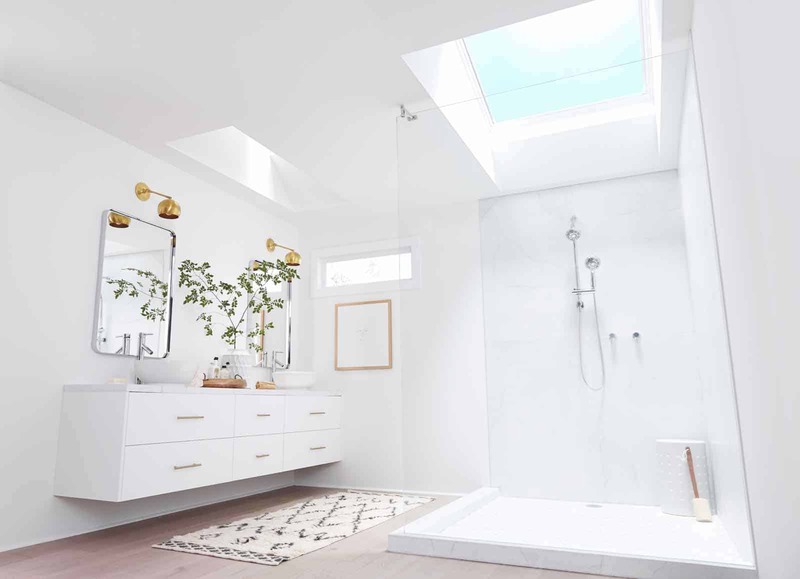 Maybe one of the reasons I’m zeroed in on skylights so much is that they are a relatively easy update that I could do in ANY home! 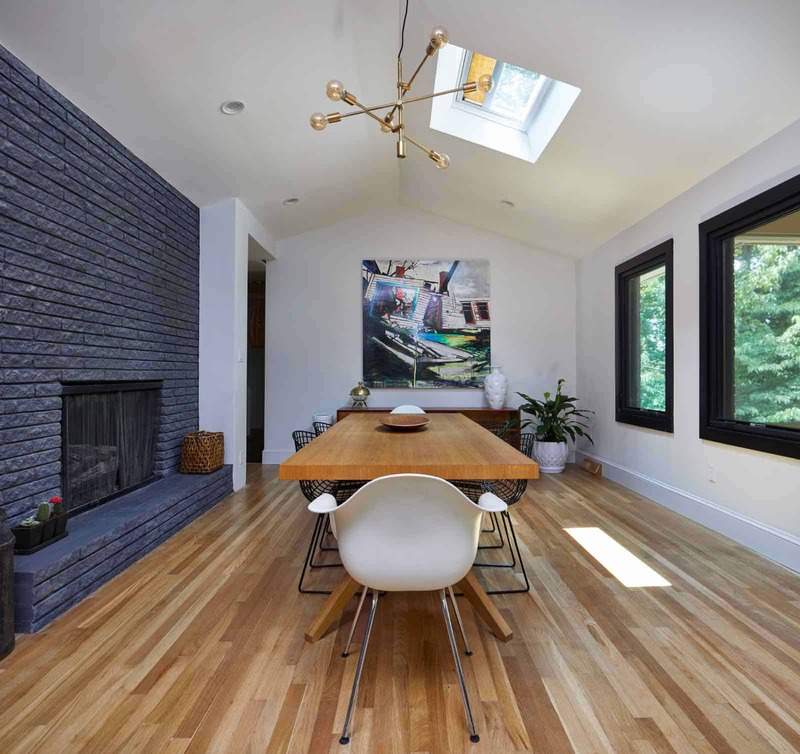 I mean, sure… I could probably figure out a way to make most changes to any home, but the thing I love about skylights is that typically… they don’t affect the greater architecture of the home from the outside. What do I mean by that? If we find a sweet old colonial to call our own, pulling out all the windows for giant modern plate glass behemoths would look… crazy. Buuuut… adding a few skylights to a back facing roof… not a huge impact on the outside of the home, but inside… sunlight come to mama. 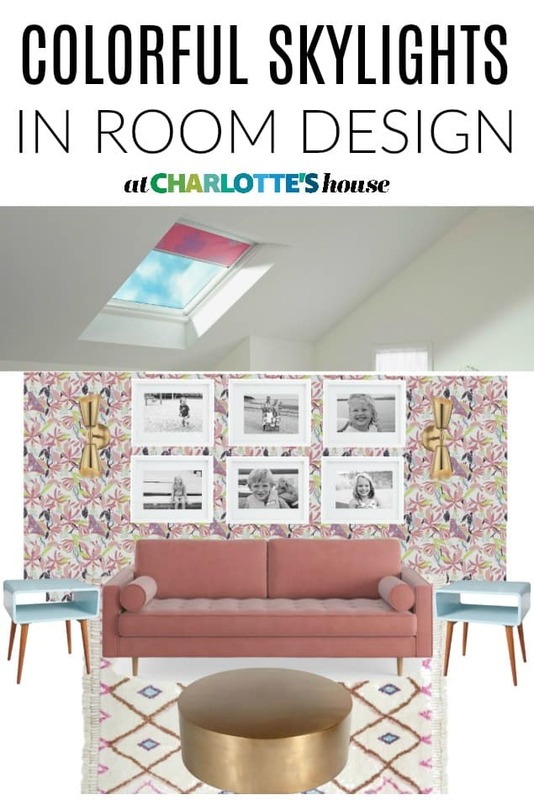 Charlotte, you moved into a RENTAL home two weeks ago- why are you so obsessed with skylights and modern details and moth wallpaper? Well, Dear Listener, not only do I miss our old sunny 9 foot ceilings, but I also am trying to put a positive spin on this transition and consider items and details that would really be something to look forward to… and owning a home in which we could make changes (like adding skylights) is something that gets me excited. Along with Dawson’s Creek, baked Cheetos, and press on nails. 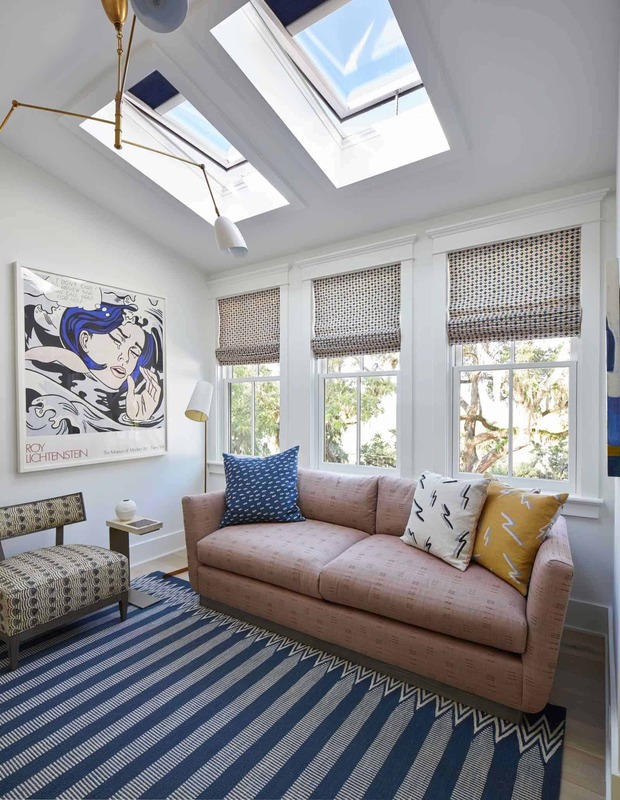 If you’ve drunk the skylight kool-aid the way I have, then you should definitely enter this contest to win not just one but TWO Velux skylights: Click here to enter! 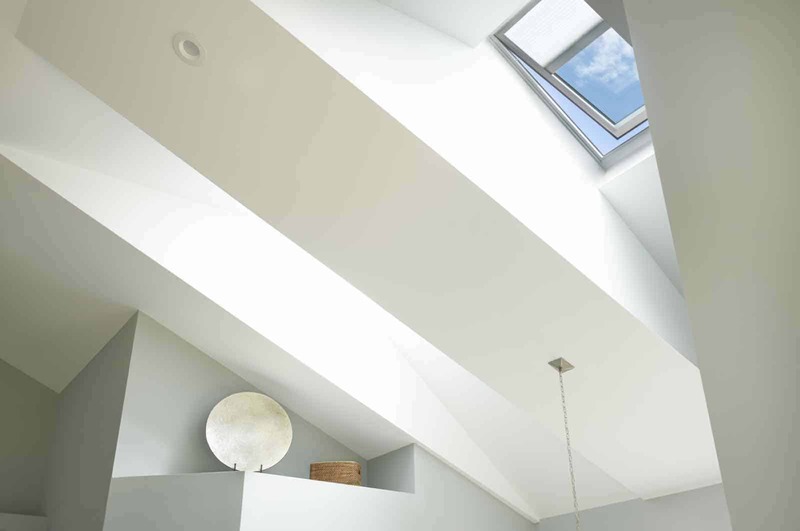 (I guarantee that you will not mentally insert skylights in every home of your house… how good do they look??) NO PURCHASE NECESSARY. Void where prohibited. Ends on 3/6/19. Open to legal residents of U.S./D/C,18+ and who own their own home. Click here to read the official rules. Sponsor VELUX America, Inc. I am totally Fascinated. 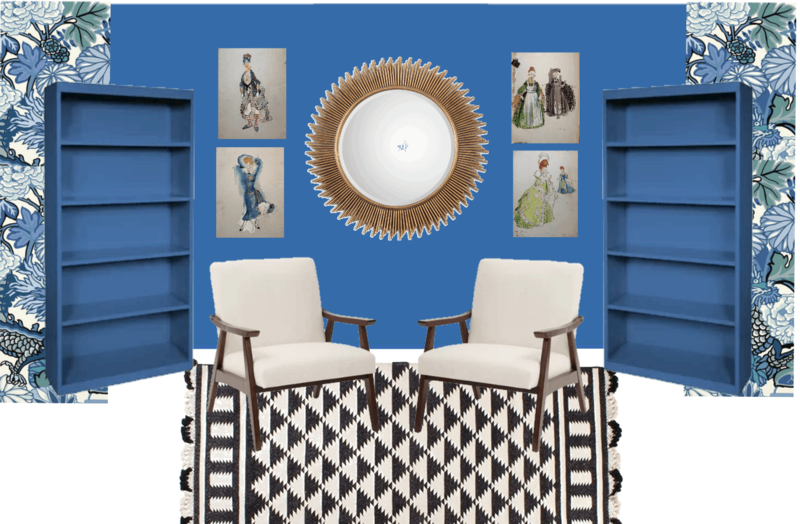 It is a really wonderful room design ideas you have shared. I have fallen in love with images. Hope to build a home like this. Thank you for sharing. Thanks, Sarah! Sometimes it’s fun to dream a little!